The tread on the landing outside the door, when you know you are the only one in the house. The wind whistling through the eves, carrying the voices of the dead. The figure glimpsed briefly through the cracked window of a derelict house. 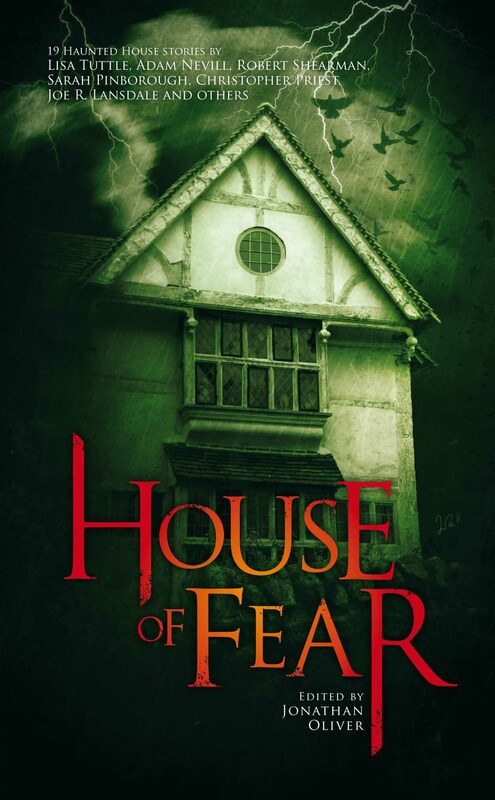 Editor Jonathan Oliver brings horror home with a collection of haunted house stories. The tread on the landing outside the door, when you know you are the only one in the house. The wind whistling through the eves, carrying the voices of the dead. The figure glimpsed briefly through the cracked window of a derelict house. Editor Jonathan Oliver brings horror home with a collection of haunted house stories by some of the finest writers working in the horror genre, including Joe R. Lansdale, Sarah Pinborough, Lisa Tuttle, Christopher Priest, Adam L. G. Nevill, Nicholas Royle, Chaz Brenchley, Christopher Fowler, Gary Kilworth, Weston Ochse, Eric Brown, Tim Lebbon, Nina Allan, Stephen Volk, Paul Meloy and more.